William Michael “Mike” Gower II, the 161st Grand Master of Masons in Texas was born on August 8, 1938, in Atlanta, Georgia. It was there that he received his early education in the Atlanta school system. He later attended Georgia State and West Texas State Universities. It was while in Atlanta that Mike met the beautiful and charming Barbara Jane Brand. They were married on June 14, 1957, and have since been immeasurably blessed with four wonderful children: William Michael III, James, Gail and David, and seven grandchildren have added to the delight of the Gower family. Mike and Barbara are members of the Calvary Baptist Church in McAllen. There is little doubt that Barbara’s influence played a key roll in their move to Texas in August following their marriage, but it was her father the late J. W. “Bill” Brand who tutored Mike in the fine art of marketing onions. Since coming to Texas in August 1957, Mike has been engaged in the development, growing, packaging and marketing of a number of varieties of fruit and vegetables. Mike has often said that he earned his “Ph.D.” in onion sales from his father-in-law, a man whom he greatly admired and genuinely respected. The Gower family is presently engaged in the ownership and operation of the Fresh Commodity Sales Company in the lower Rio Grande Valley area. His zeal for success in his chosen field of endeavor led him to become involved in the formation, and later his service as president of the Texas Fresh Promotional Board, a trade organization designed to promote Texas grown produce. An avid hunter, fisherman and sailing enthusiast, Mike firmly believes in family involvement in recreational activities. On occasion, when the press of business and Masonic related activities permit, it is not unusual that Mike and Barbara board their sailboat to make extended trips along the Gulf Coast and beyond. Or, the entire family might gather at their beachfront hideaway at Port Isabel to enjoy one of God’s greatest gifts – the love and enjoyment of family. To sit on a deer stand and observe the many wonders of nature is a form of relaxation which Mike enjoys as often as possible. His penchant for sport fishing led him to serve as president of the Texas International Fishing Tournament, a group of fishing enthusiasts whose emphasis on the sport of fishing is combined with preservation and useful management of fish. An exceptionally friendly and jovial man, Mike Gower is a man who forms lasting friendships quite readily. It was during his service as Area Coordinator of Grand Master’s Workshop Programs in the Rio Grande Valley area from 1984 to 1989 that Mike and Barbara endeared themselves to the Texas Masonic family. 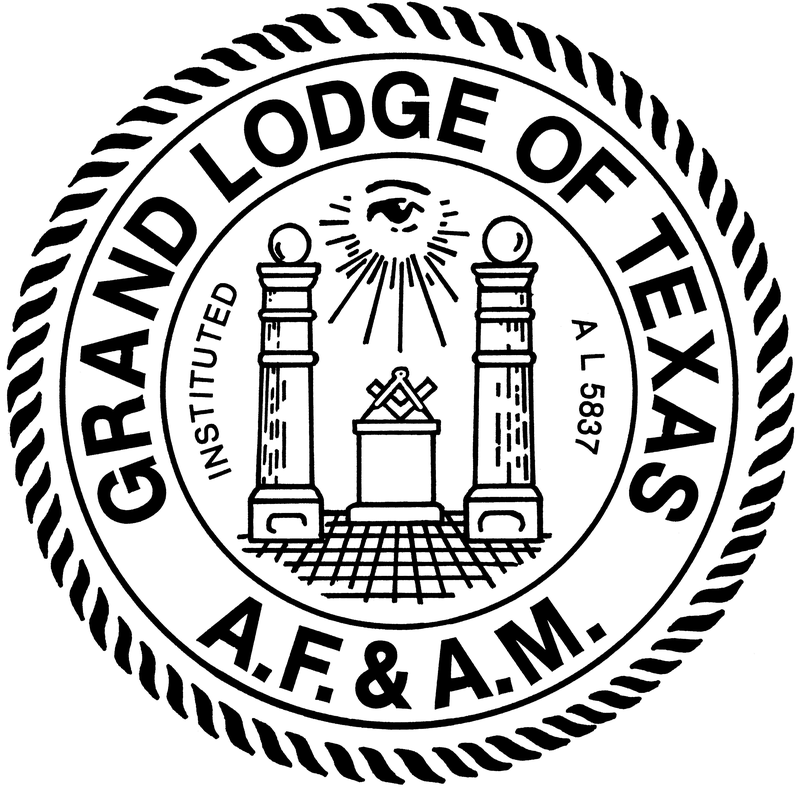 Their outgoing personalities and unique ability to greet and accommodate visitors to the “Magic Valley” combined with a sincere warmth and friendliness is widely acclaimed among Texas Masons. His military service was with the U.S. Army Transportation Corps, where he received his basic training at Fort Jackson, South Carolina. It is quite evident that Mike Gower was destined to become a Master Mason. His father, grandfather and great-grandfather were Master Masons, as was his father-in-law. As a young man, he was a member of the Order of DeMolay, and later became a Senior DeMolay in 1956. In 1984 he was honored by his selection to receive the DeMolay Legion of Honor. It was in 1973 that William Michael Gower II took the first step in his long Masonic journey that let to the purple of the fraternity being placed upon his honored shoulders on December 5, 1998. He was Initiated an Entered Apprentice on November 27, 1973, Passed to the degree of Fellowcraft on January 8, 1974, and Raised to the Sublime Degree of Master Mason on February 12, 1974. 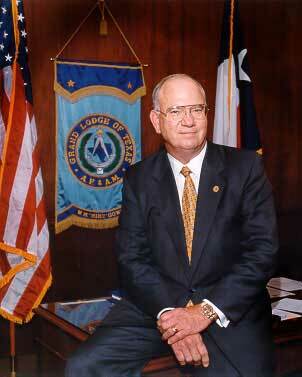 All of his degrees were conferred in McAllen Lodge No. 1110. His favorable impression of the ritual led him to qualify for his first Certificate of Proficiency in 1979. 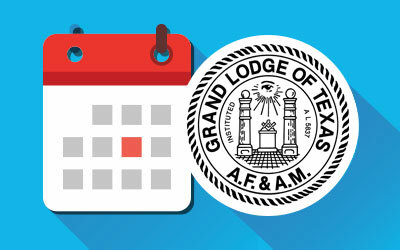 Mike served as Worshipful Master of McAllen Lodge No. 1110 during 1980-1981. His Grand Lodge service began in the fall of 1981, when he was selected by Deputy Grand Master J. M. “Jimmy” Willson, Jr., to serve as District Deputy Grand Master in Masonic District No. 40-A during the 1982 Grand Lodge year. In 1986 he served as Grand Junior Steward by appointment of Grand Junior Warden Leonard P. Harvey, and in 1988 he served as Grand Orator by appointment of Grand Master Graham H. Childress. Mike was appointed to the committee on Grand Lodge Officers’ Reports in 1989, and served on the Purposes and Policies Committee from 1992 until his election as Grand Junior Warden in 1995. Mike Gower is a complete Mason. He received his York Rite Degrees in 1974, being exalted in Hidalgo Chapter No. 434, Royal Arch Masons; greeted in Hidalgo Council No. 353, Royal and Select Masters, and knighted in Hidalgo Commandery No. 94, Knights Templar. While serving as Grand Senior Warden, Mike also served as presiding officer of all three York Rite Bodies. He became a member of South Texas Conclave, Red Cross of Constantine in 1982, and served as Sovereign of that Order in 1992. He is also a member of South Texas York Rite College No. 169. Brother Gower received the Scottish Rite Degrees in the Valley of San Antonio in 1974, was invested with the Rank and Decoration of Knight Commander of the Court of Honour in 1985, and was coroneted a ThirtyThird Degree Inspector General Honorary in 1993. he served as President of the Hidalgo Scottish Rite Club in 1986, and is a participant in the Maundy Thursday and Easter Sunday observances of the Scottish Rite. In addition, he is a member of the Scottish Rite Research Society. A firm believer in the concept that Freemasonry offers something of interest to every member, our Grand Master is a member of Al Amin Shrine at Corpus Christi, and is a member of the Nomad Shrine Club. 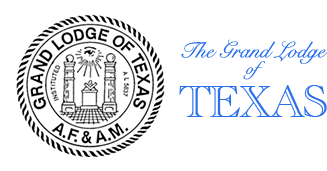 Other Masonic related activities include: El Wadi Grotto; Texas Lodge of Research; Texas College (Masonic); Societas Rosicruciana; Rose of Sharon Council No. 49, Knight Masons; and La Feria Chapter, Order of the Eastern Star. he was received into the Royal Order of Scotland in 1996; Order of Silver Trowel in 1997; Order of High Priesthood 1997; and received his Knight York Cross of Honour in 1998. A strong supporter of the Grand Lodge Endowed Membership Program, his concern for the future financial stability of all Masonic related organizations, as well as our Grand lodge library and Museum, is clearly evidenced by his ardent support of the endowed membership concept for fiscal stability. he holds endowed memberships in McAllen lodge No. 1110 and the San Antonio Scottish Rite Bodies. he is also a member of the Sam Houston Hall of Fame, an endowment for the future benefit of our Grand Lodge library and Museum. William Michael “Mike” Gower is a rather busy man and to say that he is a rather active Mason would be an understatement. he is a family man who engages in family activity at every opportunity to do so. he is a loving, kind and dedicated husband, father and grandfather. he is a decent man of integrity. If he tells you it is going to rain, you can put out your bucket in full confidence that you will catch some water. Mike Gower has the ability to unite men in pursuit of a common goal, and when the Masons of Texas follow his leadership, it might rightly be expected that Texas Masonry will greatly benefit from his unique ability to lead them into the next century of service to mankind. May God continue to richly bless him, his family, and our Grand lodge.